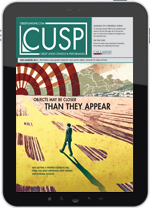 Download the Callahan Media App for the iPad or iPhone to read all the latest issues of Callahan’s publications on-the-go. User comments from websites like Yelp, Amazon, and Credit Karma can help credit unions shape and refine their payment priorities. Credit unions are finding opportunity in an increasingly diverse area of business. A Q&A on next-generation payments with the vice president of technology at Alliance Credit Union. Mobile wallets are poised to take over as the dominant form of payment. Here’s what you need to know before that happens. Mobile opportunities expand geographic reach and increase the range of services offered to members. As new payment types and providers enter the market, cards are no longer the de-facto payments method. 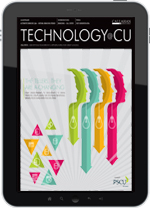 To remain competitive, credit unions must offer a mobile payments solution. Credit unions have an opportunity to plant new payment strategy seeds and watch them grow. With lower fees, better capabilities, and some regulatory advantages, today’s prepaid options resonate with a range of financial institutions and consumers. A review of some of the most popular payment gamification apps brings commonalties to light.